For all the complaining that Yankee sportswriters make about Alex Rodriguez being a "distraction," the fact is that these writers literally cannot seem to come up with anything else to talk about than A-Rod. Think I am exaggerating? Look at these numbers from yesterday's media opportunity with Joe Girardi after the team's first full-scale workout. It wasn't until the 15th question until someone asked about any other player than Rodriguez, with the exception of one about Derek Jeter, who was not in Yankees camp for the first time in two decades. By the time the 22nd question came along, Girardi lost his cool. "Are you happy to see him in camp here?" When the follow-up explained that not everyone in the Yankees' front office shares his opinion, Girardi didn't respond. "I don't really want to talk about the Alex stuff like this anymore,'' Cashman said. "I mean, at some point, hopefully, you guys can let it go, too. I think most of this stuff has been asked of me already. I don't feel like dealing with it too much longer. No wonder Alex is an egomaniac. Stalkers pay less attention to their prey than the media does with A-Rod. “@subwaysquawkers: @BrendanKutyNJ would you guys in the media please stop talking about Arod as a "distraction"? no. Bc he is one.
.@BrendanKutyNJ everybody else in Yankeeland gets a pass from you guys in media thanks to the shiny object that is Arod.
.@BrendanKutyNJ what Arod does "distract" from is how poorly the Yankee organization is being run. Media focuses on him instead of that. Anyhow, since neither Brendan nor the rest of the Yankee press corps members seems to be able to come up with questions on anything not related to A-Rod, I have written some down for them. I'm helpful that way. CC Sabathia's 2014 season ended with knee surgery. So how is the fact he put on weight -- he is now 305 pounds -- going to help his knees, when weight gain actually exacerbates knee pain? Why did you spend $5M for another season of Stephen Drew? Was it his .150 batting average or his .219 on-base percentage as a Yankee that most impressed you? Why did you spend $5M on Chris Capuano for 2015, more than double than what Boston paid him last year, when he had a 4.35 ERA in 2014 and is 36 years old? You spent $30M on unproven 16-year-old international players last year. Why couldn't you beat the Boston Red Sox's $30M offer for a 19-year-old Yoan Moncada, when he is much further along in his development? How can you be so confident in the upcoming players in your farm system when you haven't developed a position player for the Yankees since Brett Gardner, or a starting ace since Andy Pettitte? Why do you keep on including opt-out clauses in players' contracts when they never work out for the team? Did you know that if you hadn't done so for CC Sabathia, that his contract would be ending this year? What do you think will get Yankee fans to come out to games this season? Who or what will be your biggest draw? If it is Masahiro Tanaka, what is your contingency plan when he needs to get Tommy John surgery? Why does Hal Steinbrenner keep on saying that the Yankees are spending $235M on players when the actual payroll is closer to $210M? Why did Brian Cashman get a contract extension for his mid-season moves, including trading for Martin Prado and Brandon McCarthy, when he let both players go after the season? What is your plan for the future? If you are in a rebuilding phase, then why did you take on $500M in new contracts after the 2013 season? If you are competing now, then why did you let Robinson Cano go? No profession is as self-congratulatory as journalism is. Too many of these writers act like they are saving the world with their deathless prose. Many sportswriters are even worse on that front than those on the news beat, especially when it comes to Alex Rodriguez. And even the most talented of the bunch have gotten Aroditis. Ian O'Connor of ESPN New York, somebody whose work can be great, is on a dopey "compare and contrast" kick when it comes to Rodriguez. So far, he has written columns comparing him to Derek Jeter, CC Sabathia and now Brett Gardner. Who's next -- Cousin Brewski? Even Jeff Passan of Yahoo!, normally a level-headed writer, called baseball beat writers following A-Rod "first responders." Hey Jeff, firefighters who run into burning buildings are first responders. Policemen who battle crazed gunmen are first responders. Journalists who chased down A-Rod to get a quote? Not so much. C'mon, guys, all of you have done much better work that this nonsense. Can't you write on something better? Good grief. A-Rod shows up early. People complain. Why? A-Rod makes the front and back pages. Guess who's back. Back again. A-Rod's back. Tell a friend. As Eminem once rapped, guess who's back? None other than Alex Rodriguez. But some people are not happy about that. Let me get this straight. The Yankees -- and their enablers in the press, most notably the New York Daily News -- are irritated that Alex Rodriguez showed up three days early to spring training. One "baseball executive" -- is that a euphemism for Brian Cashman? -- told the News: "He’s learned nothing. He’s the same old guy. He just did what he wanted to do. "Yeah, heaven forbid somebody who hasn't played in a year should want to get cracking as soon as possible. At any rate, the Yanks ought to be thanking their lucky stars that Rodriguez was the shiny object that is distracting media and fans from discussing them not getting Moncada. I would say that complaining about Rodriguez showing up early is the dumbest thing I have heard from the media this month regarding A-Rod, but it's not. There was Mike Lupica mocking Rodriguez's mental health and criticizing him for cooperating with the feds against Tony Bosch. Even more ridiculous was Juliet Macur of the New York Times, who wrote an entire column fulminating with outrage because of Rodriguez writing in his apology that he wanted to "help us win." Her objection is of him daring to use the word "us" to describe himself as part of the Yankees. Huh? 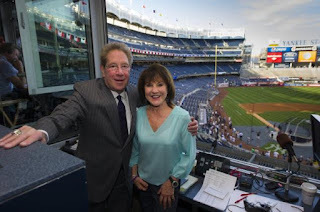 She thinks that the letter "should have been the moment when the Yankees finally turned their collective back on Rodriguez and his warm and fuzzy (and very distorted) version of 'us,'" with the team releasing him for good. Because she believes that the Yanks ought to be sooooo outraged that the player with the longest tenure on the team actually had the nerve to refer to himself as a Yankee. And you thought fans were ridiculous with the "true Yankee" nonsense! I always have to laugh when I hear sportswriters like Macur talk about how other people should spend their money. Journalists run to get free pizza in the newsroom on Election Night like it was their last meal, and bring home free swag like they're an Oscar nominee, but they're going to tell the Yanks to dump A-Rod with $61 million on his contract just because they say so? Good grief. Look, A-Rod didn't need to apologize to me. That's why, while I appreciate the effort, I am not part of the whole #forgive13 movement. And, if you didn't already know this, that interesting ESPN the Magazine's article about A-Rod showed what a mess he is. It is such a compelling read that even Curt Schilling felt empathy for Rodriguez after reading it. The article confirmed what I have said for years. That would be that A-Rod never really got over his father leaving the family, and that he desperately wanted to go to college and feels insecure about his brainpower. I have been saying for years that the main difference between Jeter and A-Rod that explains them is that Jeter grew up in a stable, loving two-parent home, A-Rod lost his father at the age of 10 and never got over it. The article has a bunch of stirring moments, and him visiting 40 (!) college campuses over the years to soak in college life was especially poignant, and made me appreciate my own college degree more than ever. These sentences really struck me: "Readings and lectures and bookstores are his guilty pleasures. Especially bookstores. You can go in, he says, have a cup of coffee, and for an hour or two pretend you're smart." No wonder he has been so easily led by people who don't have his best interests at heart -- because he doesn't trust his own brains. Reading the piece made me value my own life a little more. It just goes to show that money can't buy you happiness. Goodness gracious! Why not honor Roger Clemens in Monument Park? The fact that the Yankees are going to honor admitted PED user Andy Pettitte in Monument Park, at literally the very same time that they have decided to challenge the milestone clause in the contract they signed with Alex Rodriguez, is ludicrous. What is even more ludicrous is that the very same time, the team is still pretending that Roger Clemens was never a Yankee. Clemens was left out of the 2008 farewell ceremony for the old Yankee Stadium. He was left out of the Derek Jeter and Mariano Rivera farewell hoopla at Yankee Stadium, although he did participate with the Houston Astros when they honored Jeter. He was left out of the team's number retirement ceremony for Joe Torre. He also was left out of each year's Old Timers' Day, even though he has been eligible since 2008. Now, when Andy Pettitte is getting his number retired, and his own plaque in Monument Park, the Yankees are still acting like Clemens never pitched for them -- a far cry from his 2007 return sitting in George Steinbrenner's box at Yankee Stadium! But here's the thing: if the Yankees are going to drop their standards for number retirements and Monument Park plaques, as they clearly have, then why not honor Clemens in Monument Park himself? And his relatively short time in pinstripes shouldn't make a difference. After all, Clemens has the same number of seasons in pinstripes as Monument Park honoree Tino Martinez does: six. Clemens also is one of only five Yankees to ever win a Cy Young in pinstripes, and he is the only one to do so after Ron Guidry in 1978. He was a very important part of the late 90s dynasty years, as well as the early 2000s teams. And he won his 300th victory as a Yankee, one of only two pitchers to do so. So, given the way the Yankees have dropped standards to sell tickets, and are even honoring an admitted PED user, why not honor Pettitte's one-time best friend, Roger Clemens? There is really no moral justification not to at this point. Pettitte and Clemens were workout partners who shared the same personal trainer, Brian McNamee. But we are supposed to believe that Andy only did it twice, and that was to recover from an injury? Really? C'mon now. The selective morality here is very interesting. Clemens, like Barry Bonds, was a Hall of Famer before he ever touched a steroid. Yet most of the media and many fans have decided that they are somehow worse than the Andy Pettittes and the Jason Giambis of the world, because Pettitte and Giambi are defined as "nice guys" while they are not. And the Yankees are still literally trying to pretend that Clemens was never a Yankee! It's funny -- Clemens burned a lot of bridges when he left the Boston Red Sox, yet they have welcomed him back in recent years and even inducted him in to the Red Sox Hall of Fame. Meanwhile, the Yankees still have Clemens on their persona non grata list -- I guess he took Jim Bouton's place! 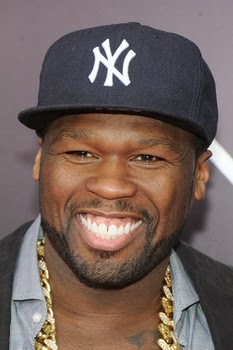 Will the Yankees retire 50 Cent's number next? When the New York Mets want to get fannies in the seats for a particular game, they have a postgame concert. 50 Cent's June 14, 2014 concert at Citi Field was the third-best attendance the Mets had all year, after Opening Day and Derek Jeter's last Subway Series game in Queens. And their Huey Lewis and the News postgame concert drew very well as well. When the New York Yankees want to get fannies in the seats for a particular game, they retire numbers or give somebody a Monument Park plaque -- or both. The 2015 number retirement/plaque unveiling ceremonies for Bernie Williams, Andy Pettitte and Jorge Posada are sure to draw big crowds, and Willie Randolph getting a plaque should give this year's Old Timers' Day more buzz than usual. But here's the thing. Having a postgame concert doesn't have any real aftereffects on the team. But retiring Pettitte's and Posada's numbers are very bad precedents, and are shortsighted moves which are more about selling tickets in the very short-term than thinking about the team's long-term history. If selling tickets is the reasoning, I would much rather see the Yankees put some postgame concerts on instead! IMHO, given how many great players wore pinstripes, some standards need to apply. To me, the standard is that either the person is a slam-dunk MLB HOFer, or that they had some particular big meaning to the team in their era. Don Mattingly is not a Hall of Famer, but he was a Yankee captain and the dominant Yankee player of his era. Using those standards, Bernie Williams would arguably make it --he was the Yankees' best player for the 1990s -- but Jorge Posada and Andy Pettitte would not -- they were never the best player on the team. They were very good players, but are they at the number-retiring level? No way. But because they are part of the dopey rhyme known as the "Core Four," they are getting an honor I don't think they deserve. Then there is the case of Posada -- who is hardly the team-first guy of his image (remember his sitdown snit after he was moved to ninth in the batting order?) The Ringo (or Zeppo Marx, as SullyBaseball calls him) of the so-called Core Four is getting this honor. Was Posada a very good catcher? Yes. Does he deserve his number retired? No way. Now, given that Tino Martinez (!) has a plaque in Monument Park -- another short-sighted move done so the Yankees could sell tickets -- the bar is so low that it is hard to argue against Pettitte and Posada being in Monument Park. But that being said, I think that the team should have 1) had more of a grace period for putting them in the park, and 2) should not couple this with retiring their number. At any rate, what is the Yankees' plan for 2015, besides incessant walks down memory lane and scapegoating A-Rod for everything that goes wrong? It's gonna be a long year. Can't we at least get a 50 Cent concert of our own? Just him throwing out the first pitch again would probably get a sellout crowd! Just don't retire No. 50 for him! People who know me in real life – or at least in my Facebook life – know that I am a big fan of "The Celebrity Apprentice." I watched every single episode this season and thought that it was one of the most fun shows on TV. Anyhow, thanks to my tweeting about how much I like the show, and how I would love to be at the finale, I got invited to a media viewing party for the last episode, after which I had the opportunity to interview celebrities on the red carpet at Trump Tower! What a thrill. Johnny Damon: One of my all-time favorite Yankee moments was Damon's double steal in the 2009 World Series. I got to shake his hand and thank him for that. I asked him about A-Rod, since Damon was friends with him when he was a Yankee. He told me: "A-Rod was a great teammate of mine. I just hope the fans can go out and cheer for him because they need him to do well if they're going to make the playoffs. If he doesn't have the support, it's going to be a very long year for the Yankees." I thought that was very interesting for a ballplayer to talk about the fans' support being so critical like that. Also, I asked him about the possibility of him doing a reality show with his family (Damon was with his lovely wife Michelle, who is pregnant with his seventh child, a girl. He said the show is a possibility. He also said that the final task for "The Apprentice" was in Florida, right across the street from his old high school! I have never had a big urge to meet my favorite Yankees in real life, because I always worried that they may not be as pleasant in person. But I am happy to say that Damon was awesome! Geraldo Rivera: I have to say that of everybody I met last night, I liked him the best (although I still think Leeza was the person who deserved to win.) Here's the deal -- Geraldo is self-aggrandizing and says and does outrageous things that go viral and get mocked on shows like "The Soup." But he is in on the joke, and knows exactly what he is doing. I found him funny and charming, and his wife Erica was also very fun to talk to as well. An aside: my brother, who served in Iraq and Afghanistan in the military, had breakfast once with Geraldo in the Army mess hall. He calls him an "American patriot"! I asked Geraldo what he thought was the most memorable thing he said this season. He said it was "Screw the terrorists. We won!" I agree -- that was a classic moment for him. Gilbert Gottfried: Sounds just like he does on TV. He got the best laugh of the night at the press screening during the finale, when he made a menopause joke related to something that happened in a previous episode. He said that that best person won, but if Geraldo had won he would have said the same thing! He also told me about his podcast series. Ian Ziering: Very passionate about his cause -- the Epidermolysis Bullosa Medical Research Foundation. He did a lot for that charity -- raising not just $300K for charity, but awareness for a disorder most people haven't heard of. Was very fond of Leeza. Vivica A. Fox: She is a true movie star. Beautiful, with charisma to spare -- she was just so cool to talk to. I asked her about Phonegate (viewers of the show will know what I am talking about) and it was clear that there was no love lost between her and Kenya Moore. She also said she has a bunch of projects coming out, and seemed pretty happy. Trump kids: I got to talk to Ivanka, Donald Jr., and Eric, my favorite Trump child. I asked him about Kenya saying that the Trumps were America's first family -- the look on his face during that episode showed that even he wasn't buying it! He was very diplomatic about what he said about her, though, and his wife said that they get asked about that moment a lot. Donald Trump himself: I briefly got to talk to the man himself. I asked him about his plans for next season, but he said he hadn't even thought about it yet. Anyhow, I will have another article about this, but here is what I saw last night. Thanks to NBC for letting me attend this cool event! So I got to attend last night's Thurman Munson Awards Dinner, at the Grand Hyatt in Manhattan. (Thanks to the people behind the event for hooking me up with press credentials!) You can see some photos of it here. I also got to attend the pre-dinner press opportunity. It was a wonderful evening, for a great cause -- helping children and adults with intellectual and developmental disabilities. Diana Munson spoke, both at the presser and at the dinner, and she was very impressive. She said when the dinner started, they expected it to run for a few years. Now it is 35 years! The night raised close to $700,000 for AHRC. Anyhow, I got to talk to some of the honorees after the formal press opportunity was winding down. I asked Meryl Davis and Charlie White, the 2014 Olympic gold medal winners for ice dancing, whether they got recognized more for their Olympic feats, or for their appearance on "Dancing With the Stars" (Meryl took home the mirror ball trophy as the winner last year!) They said that most people recognize them for both, but some people mention the Olympics first, while others bring up "DWTS" first. They also said that there are a few people who know them for "Dancing With the Stars" and don't realize that they were in the Olympics! I didn't get to talk to Steve Weatherford, New York Giants punter, but I heard him speak to the press. He said he has both ADHD and OCD, but has a system to keep them under control. He is incredibly charismatic as well -- I could definitely see him as either a sports personality on TV after his career is over, or even as somebody running for office! I got to ask Dellin Betances, who has a soul patch on his chin, if he was going to have to shave soon. "Oh yeah, it goes," he replied. "I have a week left." He had the most reporters around him at the presser, so I didn't even try to get to talk to him until the end of the event. Incidentally, he looks even taller in person than he does on TV. As somebody who is six feet tall myself, I never say "You're so tall!" to someone, because I find it a little uncomfortable when somebody does it to me. But wow, he is tall! Betances is also very soft-spoken and quiet. I am rooting for him big time this year -- he seems to have it all together, and at such a young age. Bernie Williams and Mookie Wilson were supposed to be honored at the event, but they each had flight issues due to the weather, so John Franco stepped in for Mookie, while Charlie Hayes was there for Bernie. Other baseball people I saw at the event were Michael Kay and John Flaherty. And I got the chance to talk to Sweeny Murti, John Harper, and Bryan Hoch, as well as Ann Liguori and Nancy Newman. It was pretty cool to see these folks at the event. The food at the dinner was delicious, too! Hoda Kotb introduced Davis and White, and she was very charming. And Michael Strahan introduced Weatherford, and Strahan was awesome! Was extremely excited to see him there, especially because I didn't know he would be at the dinner! All in all, it was a pretty great night, and for a tremendous cause. Thurman Munson died in 1979, but his legacy lives on. Tuesday night is the 35th Annual Thurman Munson Awards dinner, held at the Grand Hyatt Hotel in Manhattan. The benefit dinner helps the AHRC New York City Foundation, which helps both children and adults with intellectual and developmental disabilities. Joel S. Isaacson, CEO of Joel Isaadcson & Co. Yankee broadcaster Michael Kay will be the emcee. Over the last 35 years, the Thurman Munson Awards Dinner has raised a lot of money -- over $13 million -- to help those with intellectual and developmental disabilities. To buy tickets to this event, contact 212-249-6188, email jennifer@emgbenefits.com. Tickets may be purchased on line at www.ahrcNYCfoundation.org/events. Here is more information about the organization that the benefit helps: The AHRC New York City Foundation is a not-for-profit organization that supports programs enabling children and adults with intellectual and developmental disabilities to lead richer, more productive lives, including programs of AHRC New York City. AHRC New York City is one of the largest organizations of its kind, serving 15,000 children and adults who have intellectual and developmental disabilities, including autism, cerebral palsy, traumatic brain injuries and other disabilities.